Its been a diverse year In That Howling Infinite. We have traveled, to quote Bob Dylan, “all the way from New Orleans to Jerusalem” – and to many other places in between. Vikings and Roman legionaries; Bob Dylan, Jackson Browne and Bruce Cockburn; Britain in the ‘forties and Paris in the ‘fifties; America, the Levant, and even Wonderland. By Year’s end a million souls will have journeyed to Europe from the war-ravaged lands of the Middle East, and my final posts for the year contemplate what it might mean for refugees who find to safe haven in Australia. The year began with a short piece on recent archeological discoveries in Jerusalem that strongly suggested that the Via Dolorosa that Jesus trode on his final journey to Golgotha was the wrong route, and that instead, it began just inside of the Jaffa Gate. 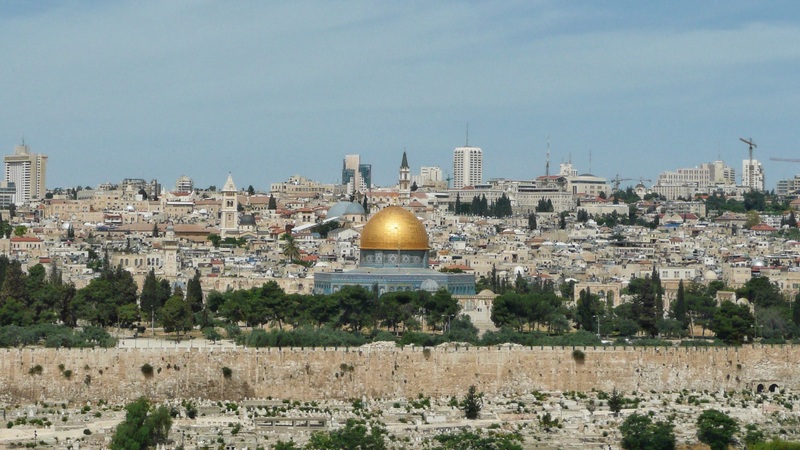 I took a light-hearted look at the Jerusalem Syndrome, a mental condition involving the presence of religiously-themed obsessive ideas, delusions and other psychoses triggered by a visit to The Holy City. I read but one piece of fiction this year – a sad admission from a lifelong bibliophile – but this one book was probably one of the best I have read: The Incorrigible Optimists Club , winner of the prestigious Prix de Goncourt, by Jean Michel Guenassia. It is set in Paris’ Rive Gauche, as the ‘fifties gives way to the ‘sixties; as the crooners makes way for rock n’roll; as the Cold War divides a continent, sending dissidents and refugees fleeing to a safe haven in Paris; as the Algerian war divides and destroys families: and as the seeds of ‘les evenments de Mai 1968’ are sown in the hearts and souls of France’s young people. It is a coming of age book, of young hopes and fears, love and loss, a book about writers and reading, and the magic and power of the written word in prose and poetry. March saw the passing of my old friend Dermott Ryder, chronicler and luminary of the Folk Music revival in Sydney in the early ‘seventies. Dermott’s Last Ride is my tribute to him. And April was a month of anniversaries and remembrance. Forty years since the outbreak of the Lebanese Civil War, and the centenary of the landings of the ANZACs at Gallipoli. Pity the Nation takes its title from Robert Fisk’s tombstone of a book on the long war; and he had taken it from a poem written in 1934 by Khalil Gibran, Lebanon’s most celebrated poet, a poem that was both a prophetic testament and a testimony of times to come: “Pity the nation divided into fragments, each fragment deeming itself a nation”. The Watchers of the Water is a song about Gallipoli sing by a Turkish solder. May saw two diverse pieces of social history. The Spirit of 45 takes personal perspective of British filmmaker Ken Loach’s documentary of the excitement and optimism that followed the Labour Party’s election victory at the end of World War II. This laid the foundation stone for the British welfare state. Bob Dylan’s Americana discusses the meaning and significance of the lyrics and the imagery of Dylan’s early ‘eighties masterpiece Blind Willie McTell, a harrowing journey through America’s dark heart. In June, we visited Yorkshire and in London, conjuring up memories and historical connections. 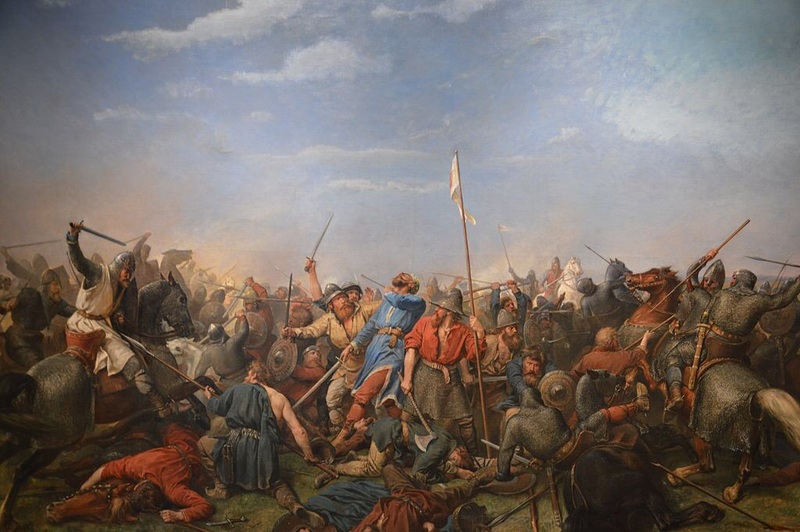 Harald Went A Viking is a saga about the first of two kings to die on English soil in the late summer of 1066, and the adventures that took him from Norway to Constantinople and Jerusalem and finally, to Yorkshire. Roman Wall Blues takes its title from WH Auden’s poem about a homesick and grumpy legionnaire on Hadrian’s Wall, and contemplates the lives of the ethnically polyglot soldiery who defended the Empire’s borders. 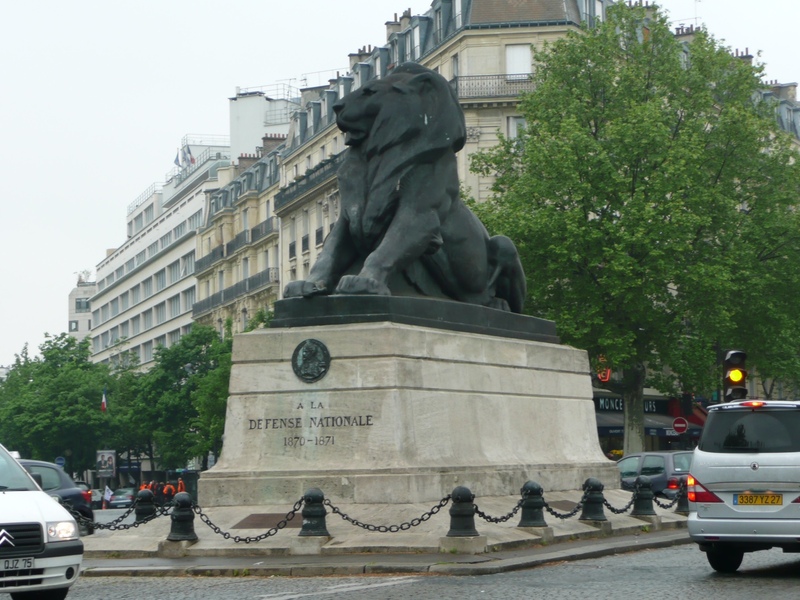 And June saw another famous anniversary, the Bicentennial of the momentous and bloody Battle of Waterloo. The Long Road to Waterloo prefaces a song for the men who, after twenty six long years of war, never came home. In July, controversy erupted in the Land of the Free over the flying of the Confederate Flag in states that were once part of Old Dixie. The dead hand of the Civil War reached out and touched the hearts of Americans and their friends throughout the world in the wake of yet another mass shooting. This time, a young man gunned down worshippers at prayer. That the victims were folk of colour, and the shooter, a young white extremist, reopened wounds that have never really healed. Rebel Yell surmises that The South will always be with us, in our thoughts, in our historical memory, in our art and literature, our books and films, and our favourite music. 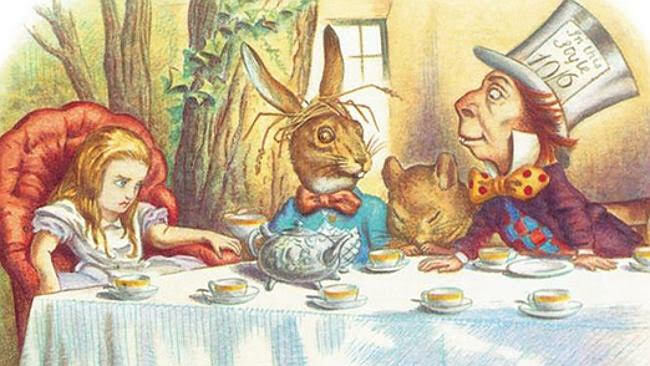 September marked the one hundred and fiftieth anniversary of the publication of Lewis Carroll’s timeless, fabulist masterpiece Alice In Wonderland. Go Ask Alice, I Think She’ll Know reproduces Australian critic Peter Craven’s masterful celebration of Alice 150. The title belongs to the mesmerizing Grace Slick of Jefferson Airplane who cut through to the rabbit chase channeling the long-gone Lewis in a psychedelic musical masterpiece. 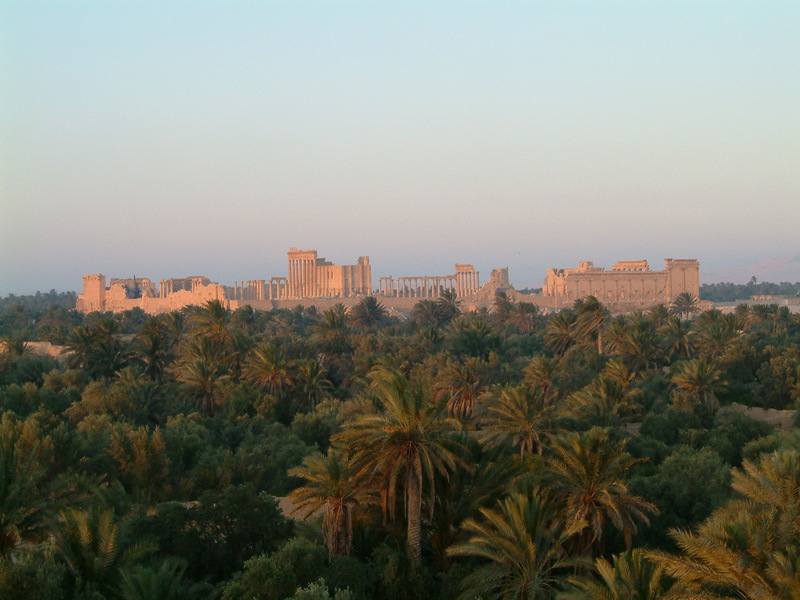 On an infinitely sadder note, Ruins and Bones is a tribute to the memory of Syrian archeologist Khaled Muhammed al Asaad, murdered by ISIS in August 2015, and of Palmyra, the ‘Pearl of the Desert’. Allende’s Desk and Osama’s Pyjamas is a brief commentary on the extension of American military power and the pathology of demons and demonization. Tales of Yankee Power looks at American foreign policy during the 1980s from the perspective of the songs of Jackson Browne and Bruce Cockburn. November’s Children of the Revolution looks at the events that led up to the beginning of the Syrian Civil War, and the early days before it became too dangerous to gather on the streets, when men, women and children would parade in public places, waving the flag of the old Syria, the one that flew before the Assad clan seized power in 1966. Canny camera men could take media-friendly shots of photogenic little girls in face makeup looking sad, vulnerable and defiant. Those days of hope are long gone. A highlight of this past year has been my work as a volunteer with the Humanitarian Settlement Services programme. The HSS’ mission is to assist newly arrived refugees to settle in Australia. In No Going Home, I endeavour to imagine the refugee journey. Hejira is a sequel of sorts and, indeed, a happy ending. Happy New Year to these prospective New Australians, and to all my readers. May 2016 be fortunate and fulfilling.